Airbus DS Communications continues to see customers adopt its VESTA 911 platform and is proceeding with plans to partner with commercial carriers to offer mission-critical 911 and P25 service to public-safety entities in the United States, according to company CEO Bob Freinberg. 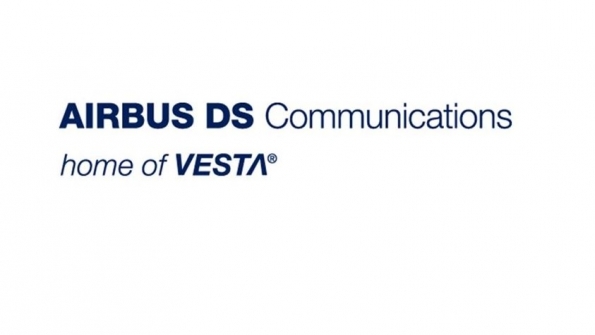 Despite uncertainty surrounding its pending sale, Airbus DS Communications continues to see customers adopt its VESTA 911 platform and is proceeding with plans to partner with commercial carriers to offer mission-critical 911 and P25 service to public-safety entities in the United States, according to company CEO Bob Freinberg. Last fall, parent company Airbus Group announced that it would sell Airbus DS Communications—formerly Cassidian Communications—as part of program to divest all business units not related to aircraft-related sectors. Freinberg said he could not update the status of the sale, but he said that “our momentum has remained strong,” noting the adoption of the company’s VESTA 911 platform by more than one-third of its customer base in less than two-and-a-half years. For years, Airbus DS Communications has emphasized that its standards-based IP solutions are designed to interoperate with other standards-compliant gear to enable flexible systems that can be configured to meet the unique needs of a public-safety entity. In addition to the VESTA 911 system encouraging interoperability and reducing costs, 90% of VESTA customers say they would recommend the system to others, according to Airbus surveys. This open-standards philosophy also is embodied in the company’s recent strategy to partner with commercial carriers to provide mission-critical systems as a service, instead of the capital-intensive approach that has been used traditionally in the industry. Because carriers have always been part of the 911 ecosystem, such partnerships might be expected in the industry. However, Airbus DS Communications also plans to partner with carriers to offer mission-critical P25 connectivity—an aspect of the sector that typically has not involved commercial carriers in the past. “Not only would we collaboratively offer this system by using our common assets and infrastructure, but we would also offer it as a platform as a service, where customers … put public safety and managed-services assets on the phone bill,” Freinberg said. “Well, we plan on doing the same, not only for 911 but for our VESTA radio platform.